Matthew has 23 years’ experience working within the IT industry. Since beginning at Moncrieff in 1991, he has worked across all areas of the business, including roles in Accounts, Sales, Quality Management, IT Architect and System administration, to progress to the role of General Manager in 2010. After holding this position for 3 years, he was appointed to the role of Managing Director of Moncrieff in April 2014. 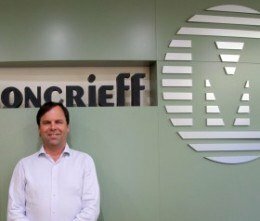 “It is an honor to be elected by the board as the third Managing Director of Moncrieff in its 48th year since incorporation. It is a unique position in the corporate world to be able to follow in the footsteps of my grandfather Jim Moncrieff and my father Bill, the founders of Moncrieff. Since completing his Bachelor of Business degree at Edith Cowan University, Perth in 1991, he has augmented his qualifications with a postgraduate diploma in Electronic commerce at Curtin University, Perth in 1991. Matthew was recognized as is a Fellow of the Australian Institute of Management (FAIM) in 2013.